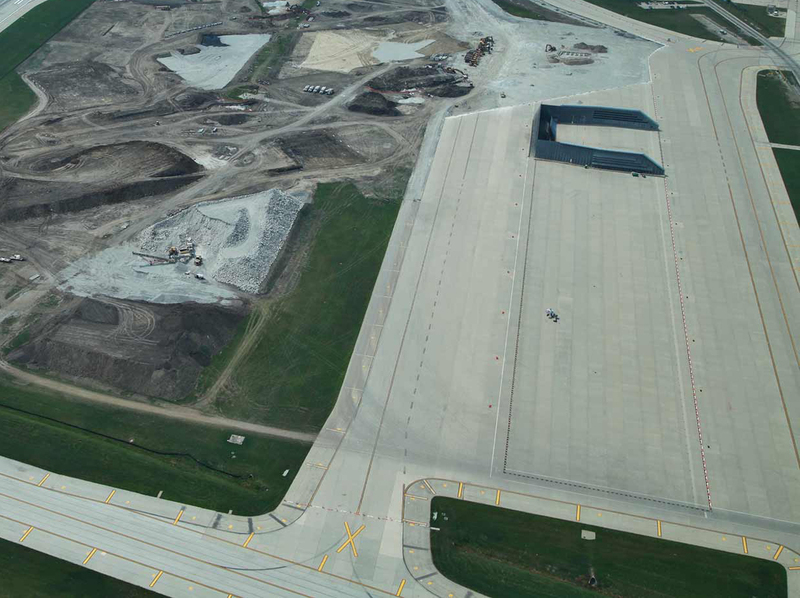 How did we deliver a new runway segment on time with a major airline maintenance facility impeding construction? Sometimes, when we are presented with an opportunity, we have to figure out the best way to overcome inherent challenges. How we propose to solve that problem can affect whether or not we get a job, and if that job is successful. 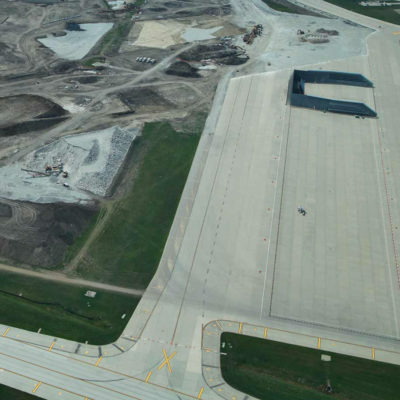 For Phase One of the O’Hare Runway 9C-27C Bid Package 1 project, our solution for moving the existing Ground Run-up Enclosure (GRE) testing area from one location to another proved not only successful, but even improved the quality of the testing area after reconstruction. The GRE is used to test aircraft engines after they are serviced. The aircraft is positioned into the enclosure, with the nose pointing outwards. The engines are revved to 90% of power, with brakes held and turbines feathered so the aircraft does not move. 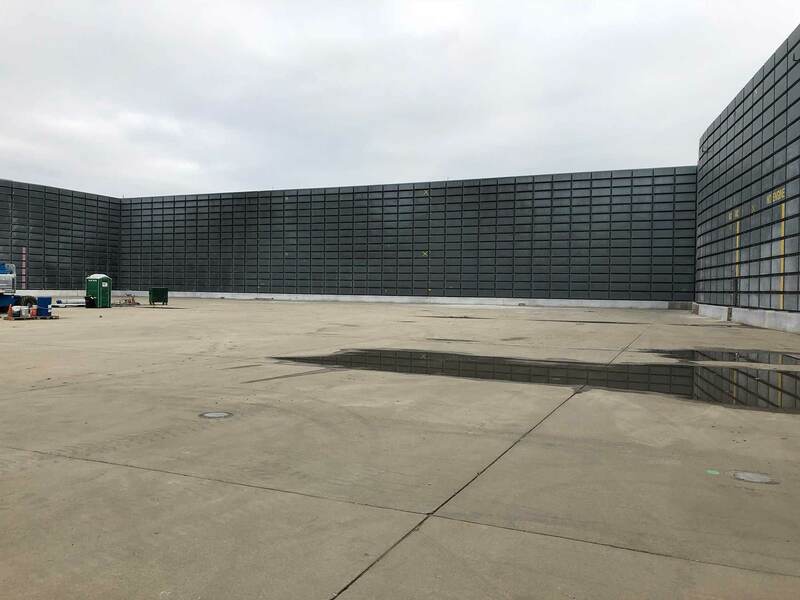 The enclosure’s purpose is to dampen the sound of the engines so the surrounding communities are not affected by the noise. Each test takes about 90 seconds. 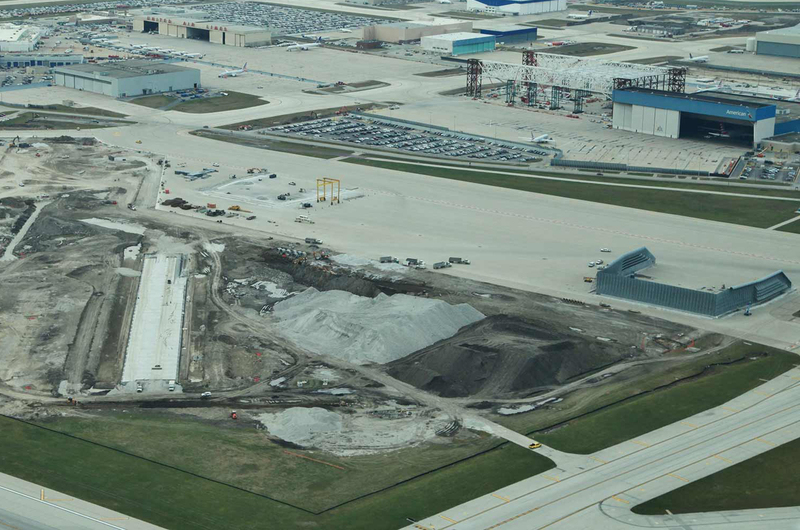 The O’Hare GRE was originally constructed in 1996, is 43 feet tall, and covers approximately three acres. 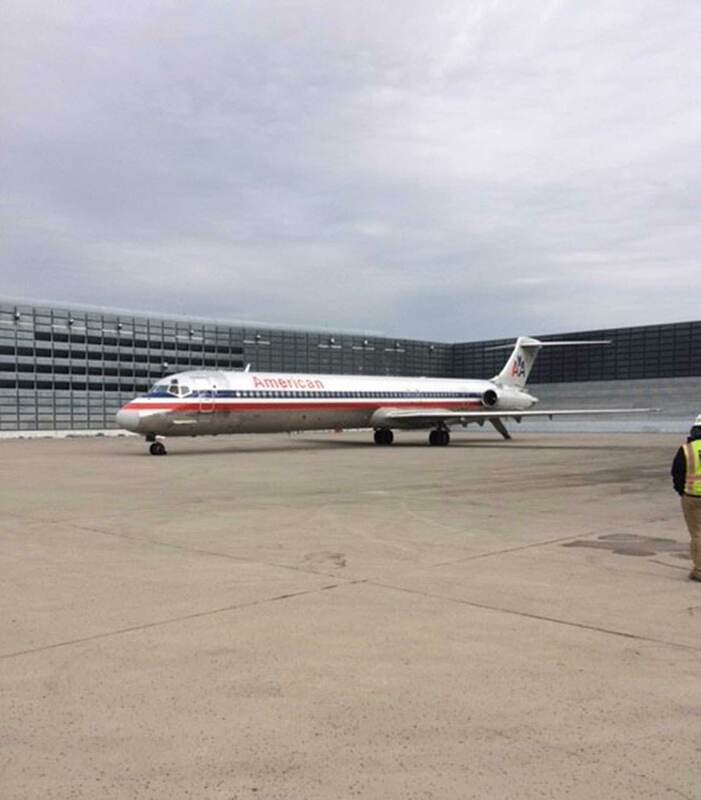 It is one of only nine in the USA, constructed mostly in urban areas where there are large maintenance facilities on airport grounds. The GRE can fit a Boeing 777, and can only service aircraft that can be turned around while inside the structure. The Bid Specifications stated that the GRE could either be relocated or built new. 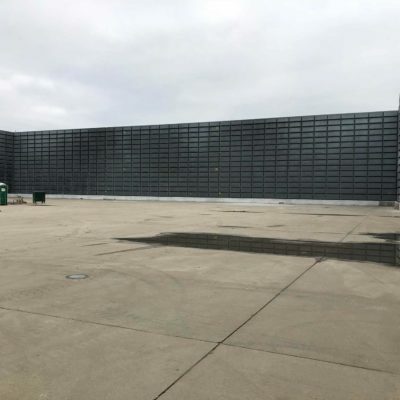 Paschen decided that moving it was the best option, since the condition of the structure was good and moving would save both time and money. 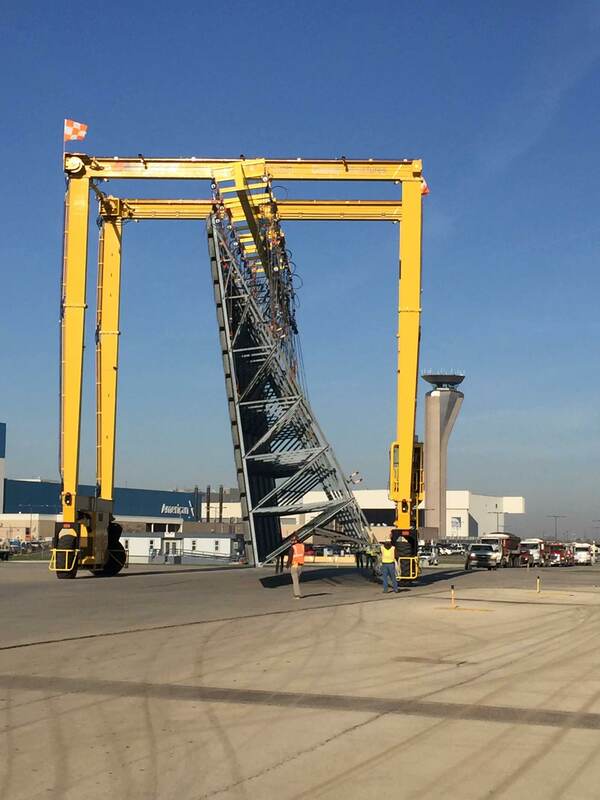 Paschen utilized an innovative technique to relocate the structure. After pouring a concrete foundation in the new location, the GRE was split into 12 equal 75-foot sections. 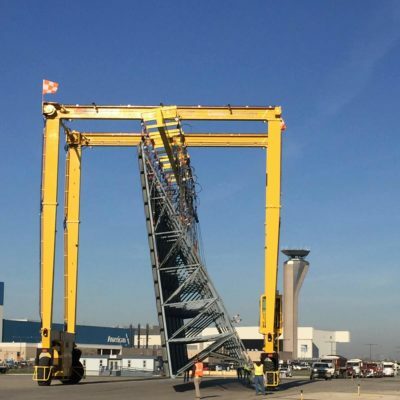 Paschen commissioned a Gantry Crane to be built specifically to move the pieces. 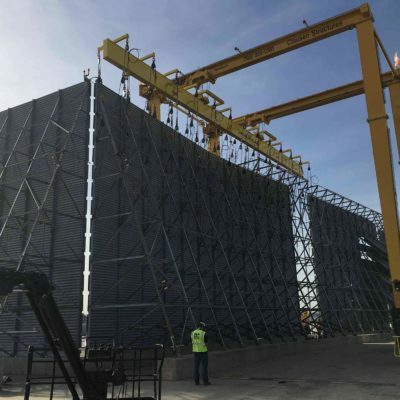 Each section was picked up with the crane and walked approximately a quarter of a mile to the new location, where it was set in place and reassembled. 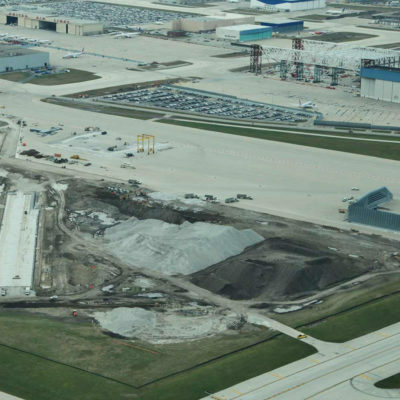 The initial plan for the relocation was for one piece to be moved each week for 12 weeks. 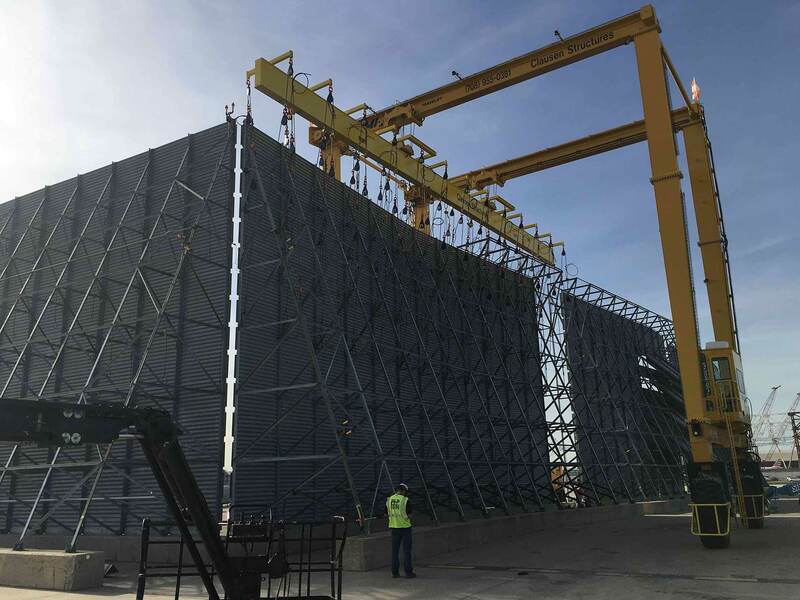 After an extensive amount of planning and coordination with both airlines and the city, the revised schedule required us to move 2 ½ pieces of the structure per week. This then improved the timeline from taking 12 weeks to approximately 4-5 weeks. Upon testing the relocated GRE, it was determined that the sound dampening had improved.